visible skin aging in the eye area? Often it is indicated premature skin aging first occur in the area around the eyes. Often it is indicated premature skin aging first occur in the area around the eyes. The skin here is thinner and more sensitive than anywhere else in the face. This delicate skin is constantly being “damaged” by our facial expressions – every moment of delight or concern is expressed with our eyes, and every smile or frown damages the collagen which is responsible for giving the skin a youthful, taut and firm look. 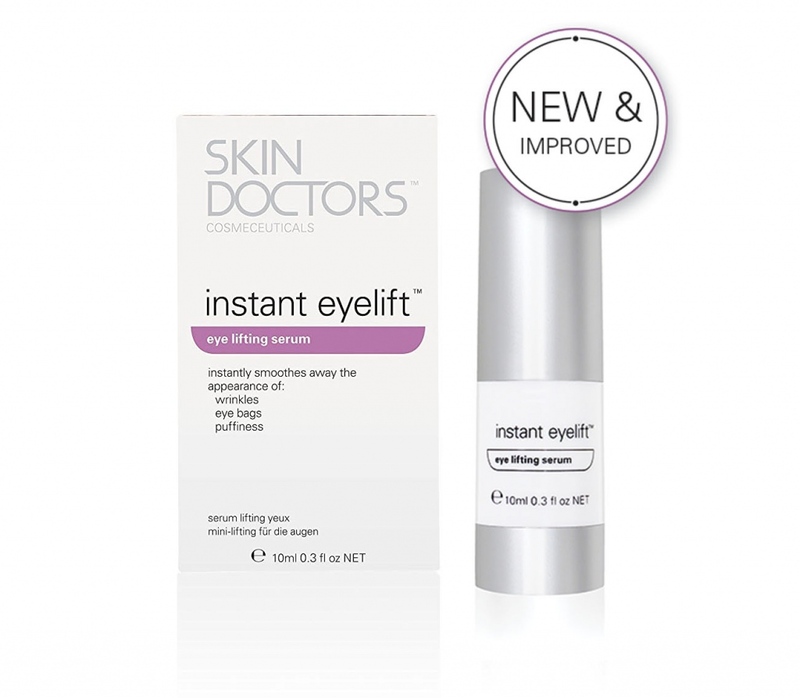 Instant Eyelift™ offers an instant lifting effec. Instant Eyelift™ is the ideal solution for fine lines, small wrinkles and puffiness in the eye area. Biocare SA: The composition of Albumin and Hyaluronic Acid creates a highly elastic and hydrated film on the skin that creates a smoother and tighter look. Light-reflecting particles reduce the appearance of small wrinkles. Skin Tightener ST: Combines hydrophilic polysaccharides that are derived from the algae macrocystis pyrifera with wheat protein. Tightener ST is responsible for giving the skin a tighter and smoother look. Sodium Silicate: When applied to the skin, this ingredient instantly dires and contributes to the formation of the skin-firming film. Thouroughly cleanse and dry skin. Before use, shake the bottle until all solid content has disappeared. Apply the product to your ring finger and apply a thin coating of Instant Eyelift™, moving from the inner area to the outer area in a crescent motion. Once applied, avoid facial movement such as smiling and talking for 2-3 minutes until the cream has dried. How does Instant Eyelift work? Instant Eyelift smoothes and tightens the skin beneath the eyes. The fixing ingredients reduce the appearance of fine line and wrinkles. The other active ingredients smooth the skin and reduce puffiness and inflammation. Can I apply make-up on top of Instant Eyelift? Yes, just make sure not to rub too hard while applying make-up, as Instant Eyelift crystallizes which could form a white film. Could I be allergic to Instant Eyelift? 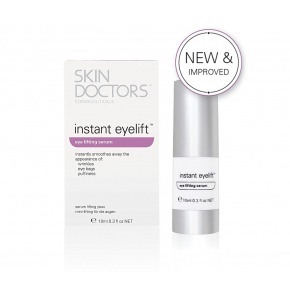 Instant Eyelift is a gentle smoothing and tightening serum that should not cause any irritation. If you are aware of any allergies you have, it is important to check the list of ingredients to make sure there are no ingredients contained that you may be allergic to. Be especially careful when using products in the delicate eye area. We recommend that before applying Instant Eyelift, you test the serum on a less sensitive part of your body such as your wrist. If you notice any redness or itching then you should not continue to use the product. Please note that Albumin is a protein component of the egg, meaning that if you are allergic to eggs, you should avoid any contact with this product.